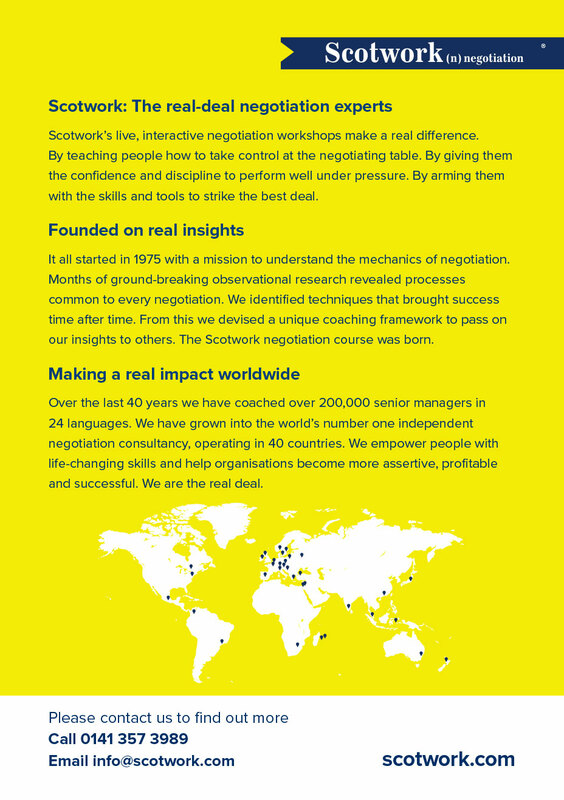 Scotwork provide negotiation skills courses and consultancy, operating in 38 countries. 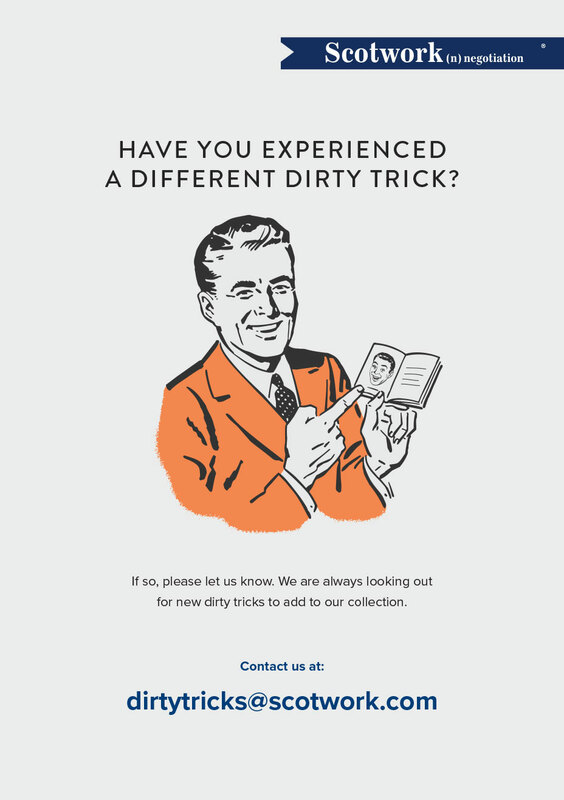 The company started in Glasgow, Scotland, 40 years ago. 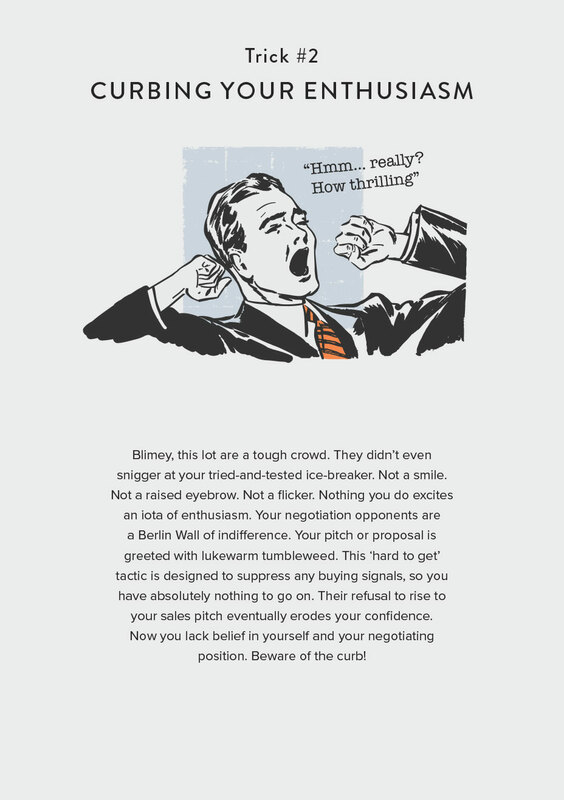 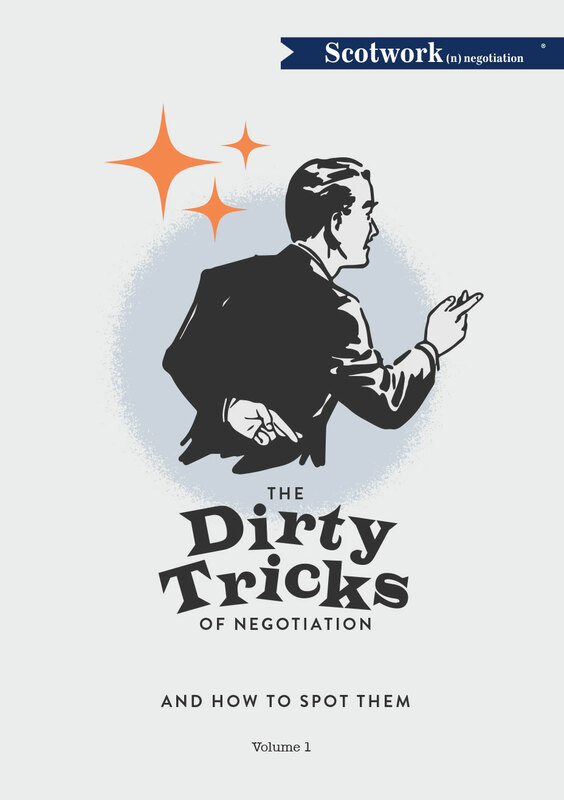 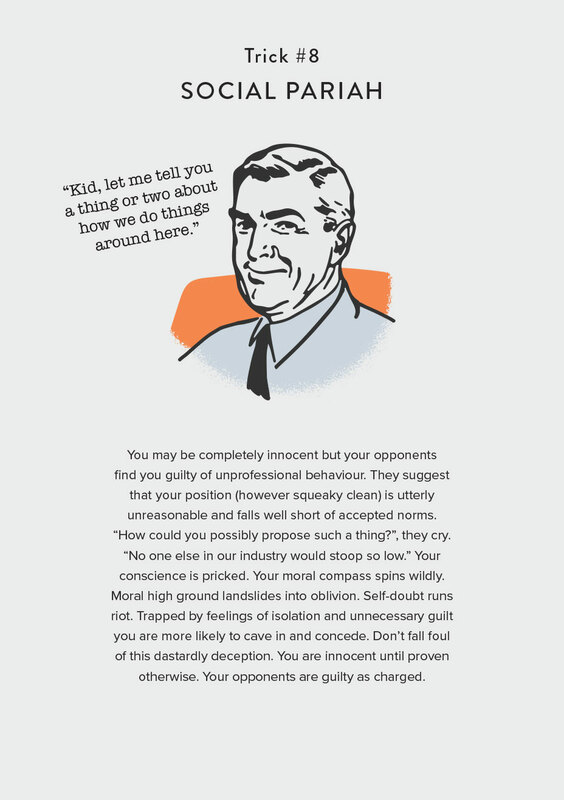 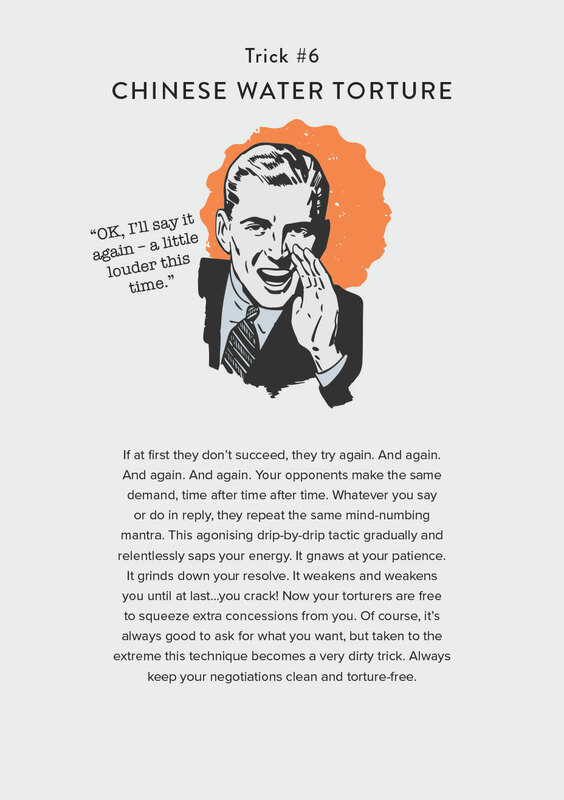 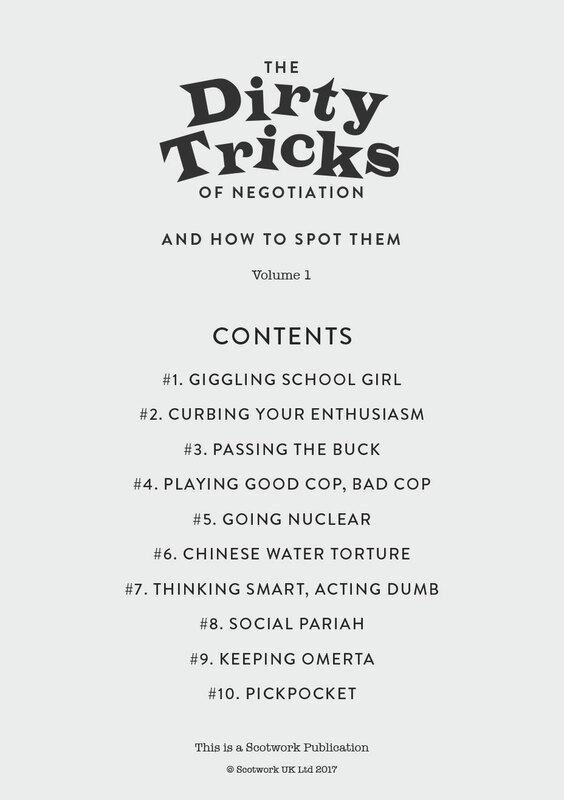 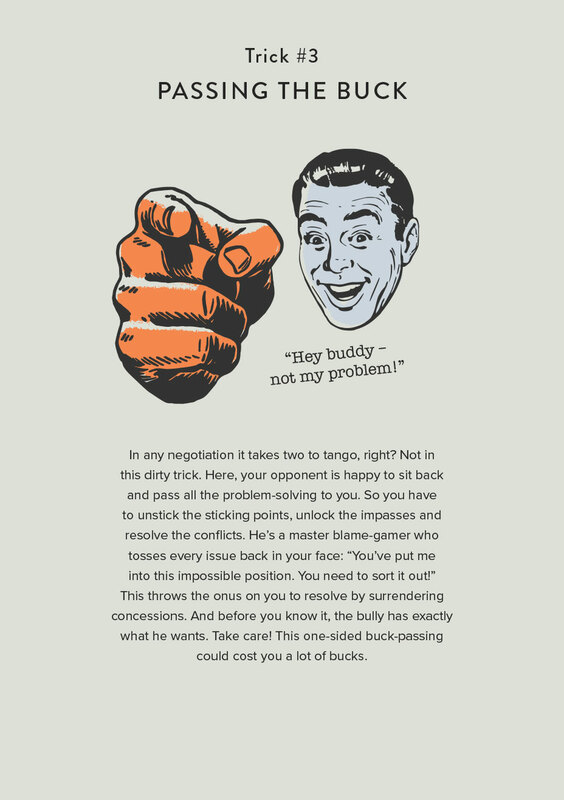 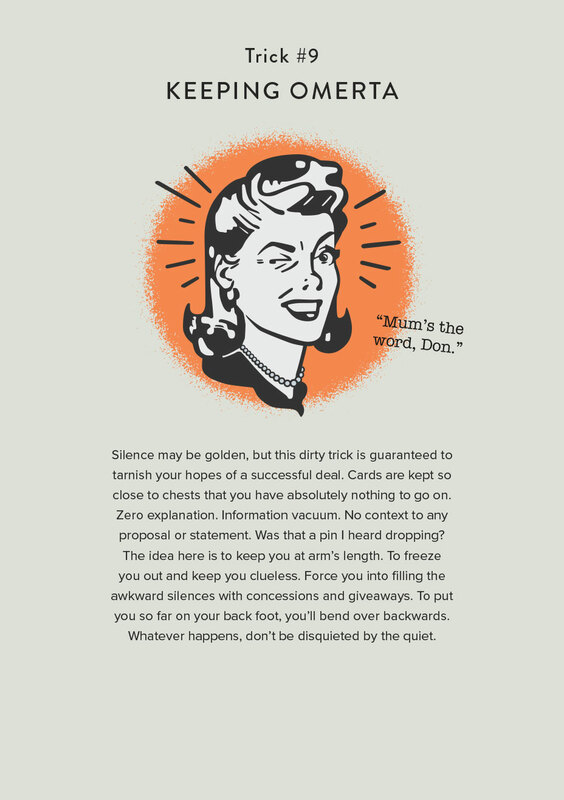 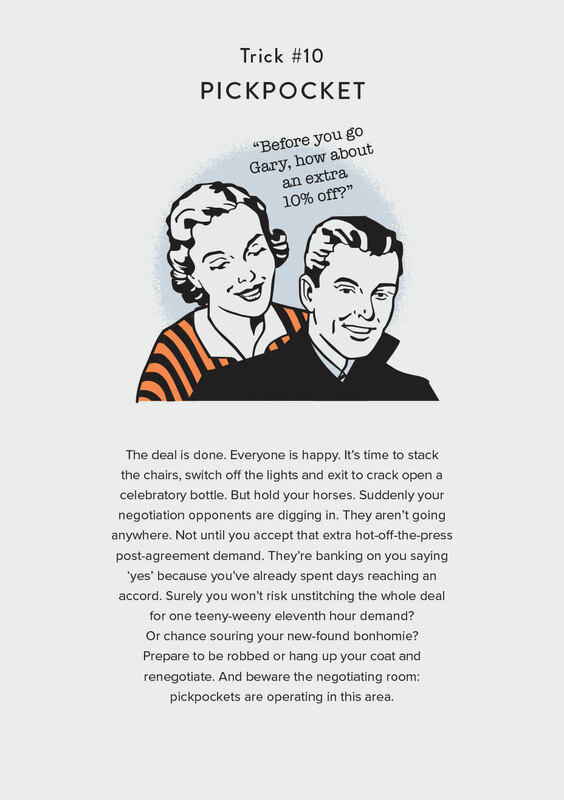 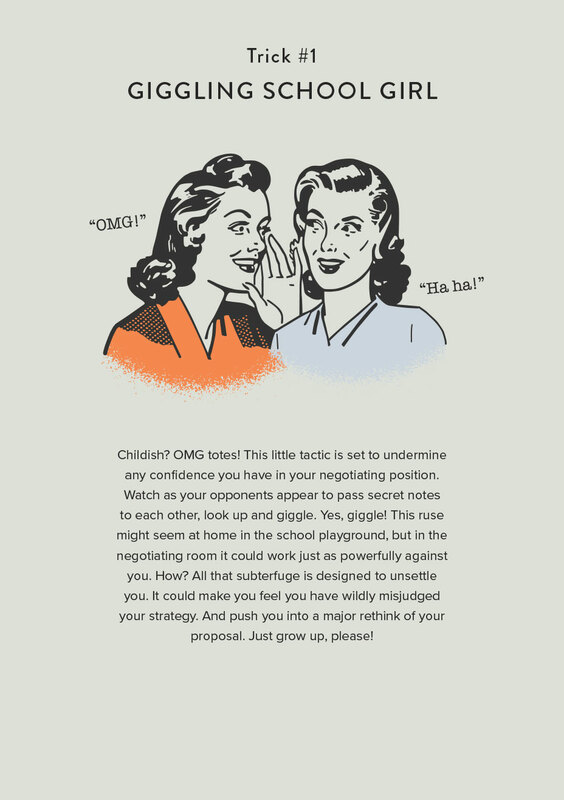 Here is our book “The Dirty Tricks of Negotiation – And How to Spot Them”. 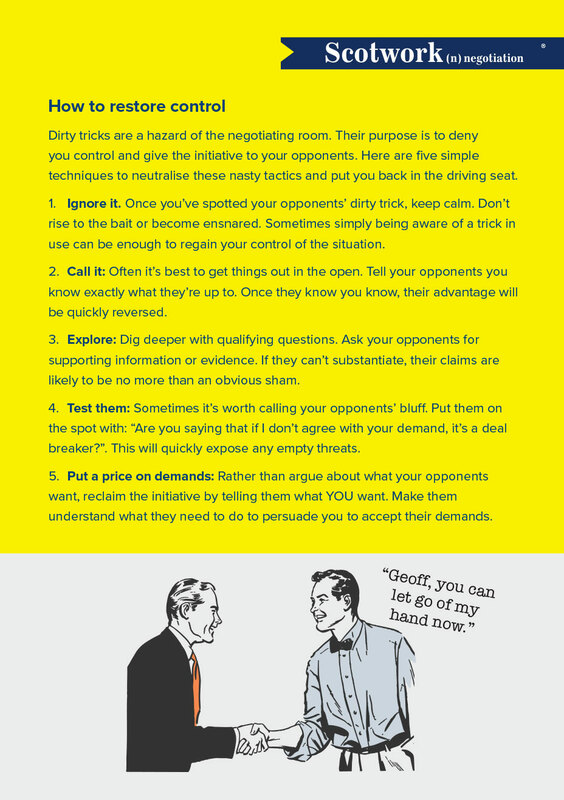 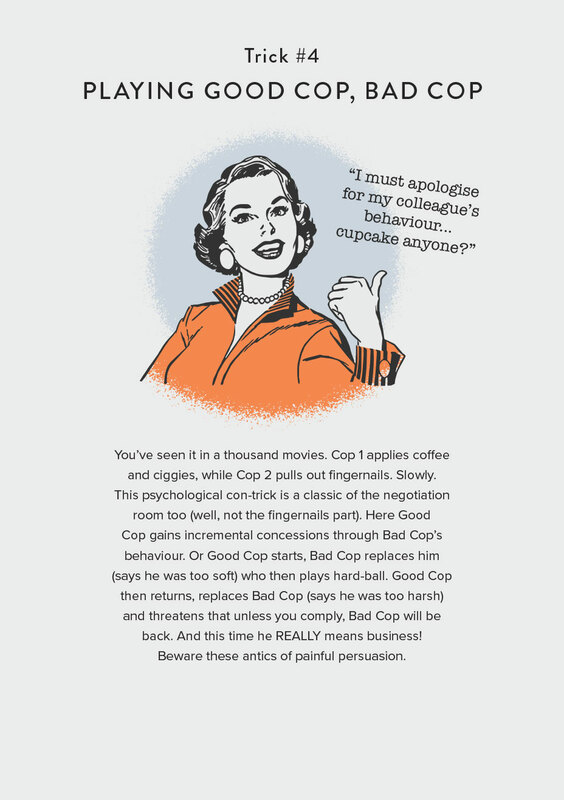 It takes a pop at old-school negotiators who will try everything to undermine their opponents in the boardroom. 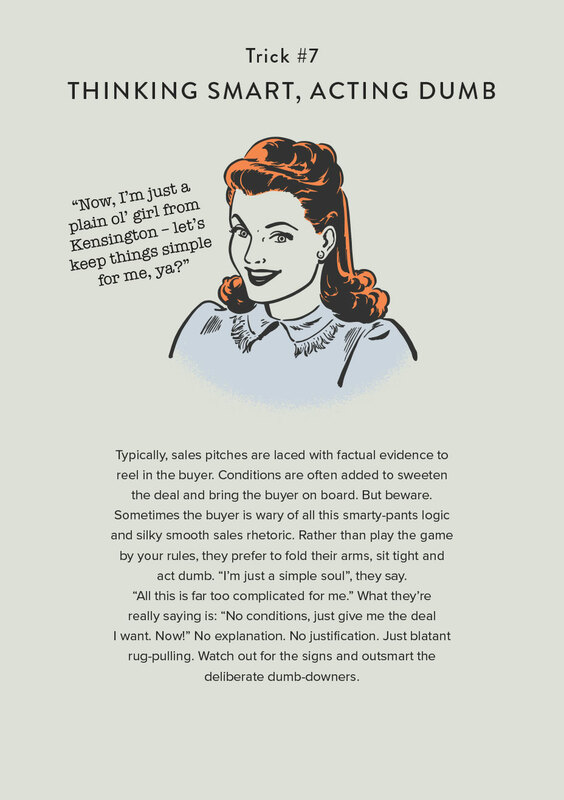 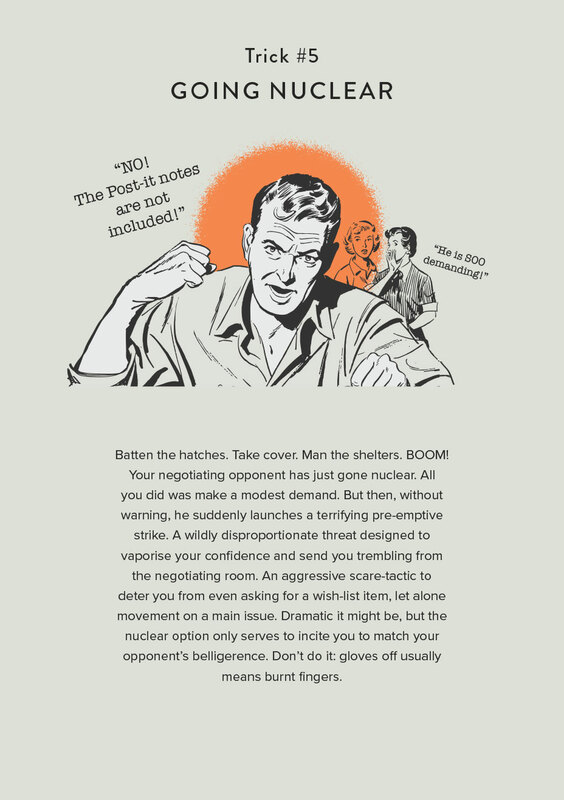 The 1950’s illustration style, in a similar way to the recent Ladybird Books for Grown-ups series, is the perfect vehicle for the witty copy – written by Andy Hunt at Amberjack B2B.